Today I cooked a fresh and easy ten minute recipe! 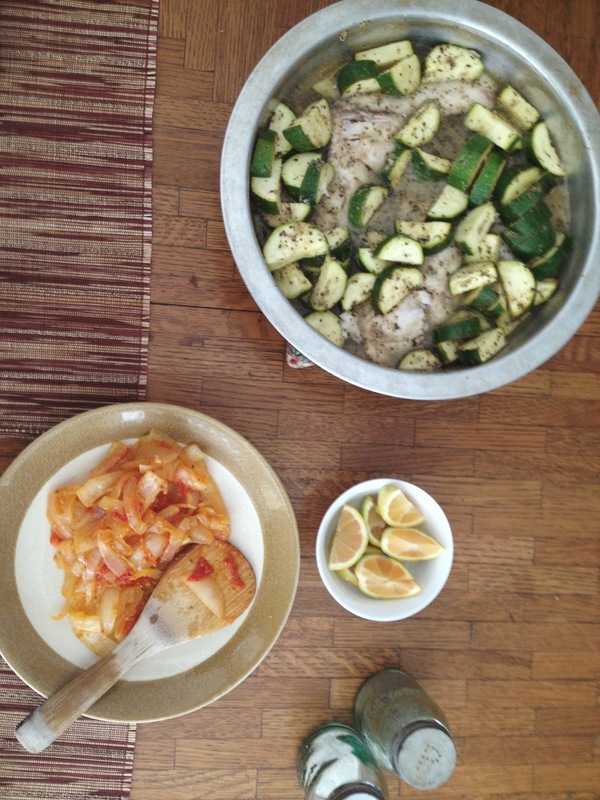 I made tilapia, zucchini, and onions, seasoned with thyme, lemon and basil. It was so fresh, easy and delicious! I love, love tilapia — and love that I feel full without that greasy, guilty feeling of overindulging afterward! Sounds like a great meal.